As you can see, we’re doing well! 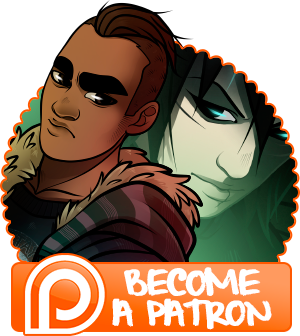 Yesterday I wrapped up the first 6 pages, which $10 patrons can read all of right here, right now. I’m currently finishing up the first of the three wallpapers, which all patrons can see inked previews of here, and I’ll be dedicating the rest of today to finish the other two so they can go out as soon as possible. I had a lot of fun drawing characters doing cute, normal, non-depressing things outside of space ships, so this was a nice break from actual work. 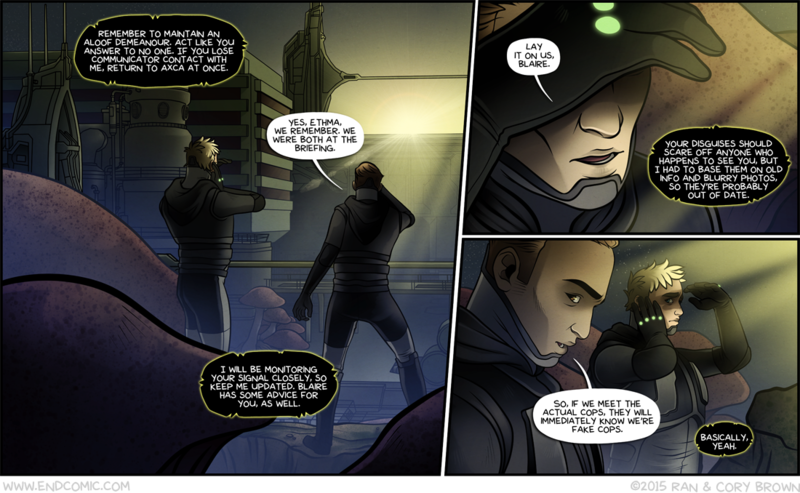 Anyhow, enjoy today’s page! We’ll be back on Friday with the next instalment of what is sure to be a completely successful and problem free mission!